This being the land of Chick-fil-A and Coca-Cola, it’s no wonder that more than a quarter of Georgians are clinically obese, making us the seventeenth-most-obese state in the country. Atlantans also stay sedentary to avoid the heat, especially at this time of year, says Dr. Ralph Peeler, who practices family medicine in Chamblee. “Part of the problem in the South is the weather’s real hot, and people don’t like to exercise outdoors in the heat,” he says. But the consequences are deadly. According to a study of more than 3.5 million subjects published in the American Journal of Preventive Medicine, obesity is now as great a risk, if not greater, to quality of life than smoking. The study found that between 1993 and 2008, the number of smokers declined 18.5 percent, but the proportion of obese Americans increased 85 percent—resulting in a slightly greater loss of “quality years” per person than smoking. 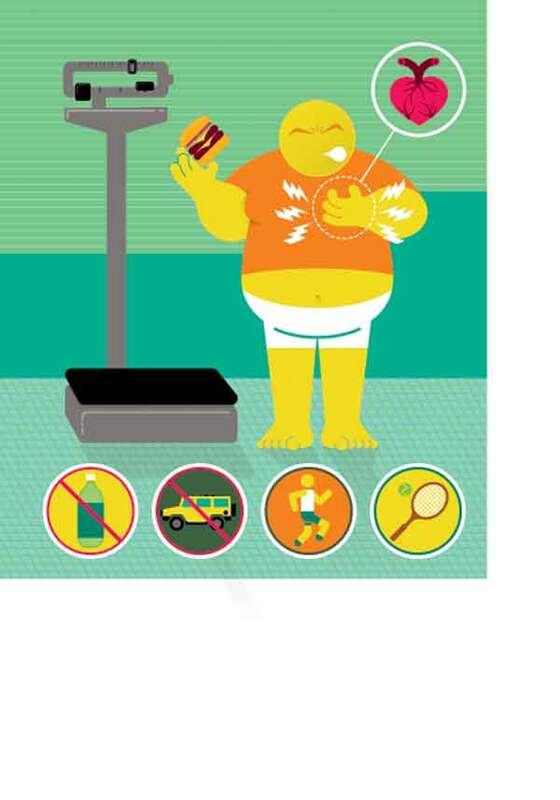 Obesity has been associated with diabetes, arthritis, hypertension, elevated cholesterol, and increased risk of stroke, heart attack, disability, depression, and cancer. Hart suggests working out early in the day. “No one really wants your time at 5 a.m.,” he says. “If at all possible, [exercise] first thing in the morning. Then it’s out of the way and the rest of the day can happen. If things go sideways and the day gets away from you, you’ve already done your exercise.” He also advises looking for fun activities such as rowing on the Chattahoochee or joining an ALTA tennis team if you dread going to the gym. When extra pounds spur any kind of medical issue—such as high blood pressure, high cholesterol, or arthritis—then it’s time to see a doctor. He or she will usually order simple blood tests to make sure there’s not a medical reason for weight gain. Many of the patients who come to Hart’s office meet with one of the two nutritionists on staff. Those who are clinically obese are candidates for weight loss surgery. Here are some area restaurants that offer a hefty selection of lighter fare.